As well as PLATINUM's hectic schedule for corporate and private clients, they also perform at a number of public events throughout the year. Watch this space for details! Marvellous is always a fabulous festival and PLATINUM are delighted to be back! The festival is for the whole weekend, but PLATINUM will be performing on Saturday. Stage time yet to be confirmed. So grab those 20% off Early Bird Tickets right now and get your place booked at Marvellous 2019 - the best summer Festival event in the calendar! AT DORKING, BRACKNELL & WIMBORNE! Come to one of PLATINUM's Shows at Christmas 2019 for a Sparkling Night of ABBA, Glam, Glitz & Fun! Like our Facebook Page & Follow us to see these and more Events! All tickets are now on sale. Following previous sell-out shows, tickets are sure to go fast and some have already been sold - so get yours now!! "Fantastic night watching PLATINUM last night. Great fun." "What a fabulous night last night. You rocked it. Music was amazing. This is my third year of seeing you and I will be back next year." "Thanks, what a great show, up dancing all night." "Thanks as ever for a fabulous evening! You made Wimborne rock!!! Thank you all for such wonderful entertainment. We are already looking forward to next year's show!" PLATINUM will be on stage at 8pm. PLATINUM bring their Theatre Show to Dorking Halls again in December 2019. The perfect venue to put on your flares, platforms & wigs and come along for a great, fun night of dancing to ABBA's best hits! Tickets on sale - get yours NOW!! Call Box Office to book tickets: 01306 881717 or visit the website. “Great show, music and choreography... Everyone up dancing and joining in!" Due to popular demand, and following 2018's tickets selling out by September, PLATINUM will be performing two shows at this venue in 2019! Call the Box Office 01344 484123 or visit their website to book yours NOW before they go! 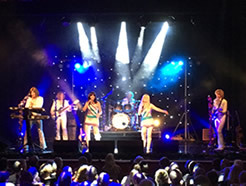 "What a great show and the atmosphere was amazing... you guys are so talented and we both agreed it was the best evening musically and for just pure enjoyment we have had for a long time! "Superb show yet again, Wilde Theatre were on there feet, loved it, see you next year and thanks for kicking off Xmas for us all." "Thanks for a fab show tonight - we come every year to the Bracknell show and always have a great time!" "Great show tonight, loved every minute of it as always!!!" "They were sooooo good!!!! So pleased we came." PLATINUM will be on stage at 8pm on both nights. It's always an honour to be asked to headline a festival... and quite a responsibility, too! PLATINUM would like to give a massive "thank you" to the fantastic crowd at Aspatria for their love, energy & enthusiasm and for the amazing welcome they showered upon the band. 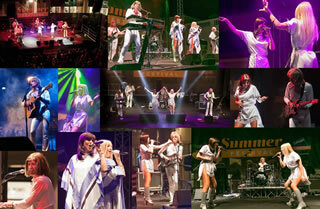 Alexandra Palace's Springfest German Bier Festival was a blast. With a wonderful Oompah Band, the fab band The Meltdown, and a Club de Fromage DJ - and plenty of beer flowing.... a great time was had by all. PLATINUM thoroughly enjoyed headlining this great event. 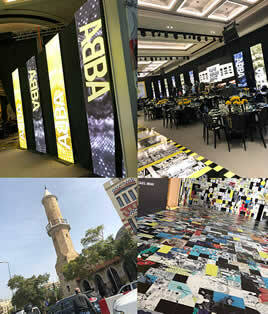 A wonderful trip to Lebanon for the Cartoon Awards in Beirut, with PLATINUM being their entertainment for the evening. The band has been working on getting to Lebanon for some time now, so was pleased to perform there! A great city and a fab response to PLATINUM's performance! A wonderful few days, which they hope to be repeating soon. "What fun!! !...mind-blowing performance last night"
"You guys were wonderful - thanks for a wonderful memory. All my childhood memories were rekindled. You people have such flawless performances.... we enjoyed every moment of it." "PLATINUM rockin’ it at the Horizon Plaza! The atmosphere has suddenly gone from chilly to electric!" "PLATINUM brings it down at the Horizon Plaza and the excitement is palpable." 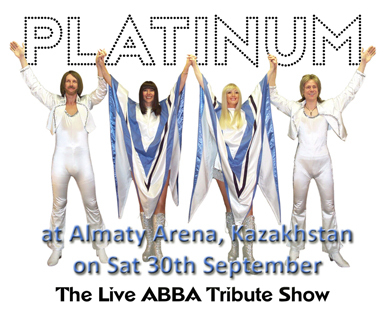 PLATINUM The Live ABBA Tribute Show returned to Kazakhstan this autumn where they appeared at the Almaty Arena. What a great night it was. #MammaMia - THE SEQUEL IS ON ITS WAY! "Mamma Mia: Here We Go Again!" released in July 2018 - the year PLATINUM will be celebrating its 21st! This was PLATINUM's stage in Greece recently, the country where it all happened the 1st time. This shows the band in Mykonos (where Shirley Valentine was filmed). PLATINUM AT "MUSIC IN THE PARK"
A fantastic night again at Nonsuch Park with around 1300+ people turning out in the wonderful sunshine to have a fun evening of entertainment whilst helping to raise lots of money for St Raphael's Hospice in Cheam. "You were amazing, fantastic night, us dancing queens can't wait until next year x"
Thanks to everyone who came along to support us and this wonderful charity. A wonderful festival in the glorious Dorset countryside yet again - what fun was had with the YFC and all to help raise money for their current charities. PLATINUM took their show to Sri Lanka to welcome in the year! 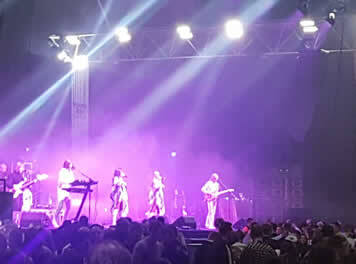 Along with Beatlemania and DJ Dane, PLATINUM had a fantastic time at the Cinnamon Grand in Colombo and have had some wonderful feedback from clients and customers alike. 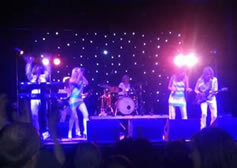 PLATINUM headlined at The Glebe in Bowness-on-Windermere in June with an Elvis tribute act as support. 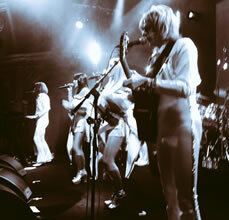 The next night saw Status Quo perform with support from Top Loader. A great weekend of fabulous entertainment. PLATINUM are proud to have taken their internationally acclaimed show to India for the first time in 2015. This second tour covered shows in Delhi; Phoenix Market City, Mumbai; and the Jamshed Bhabha Theatre, Mumbai for 7 shows. PLATINUM headlined at the Fiestas de San Lorenzo performing in the Plaza de Navarra, Huesca in Northern Spain. They were so pleased to be making a return to Spain so quickly and thoroughly enjoyed this great fiesta! 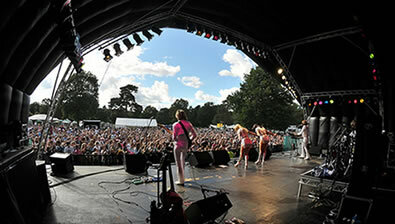 Top of the recently conducted Marvellous artists poll, along with Queen, was ABBA. So PLATINUM made a welcome return to this great festival. What a fabulous audience they were there again. Y VIVA ESPAÑA - PLATINUM IN THE BASQUE REGION! It's always an extra pleasure for PLATINUM to perform in new territories!!! This was the case for their theatre show in Spain in the Basque region at the Fronton Astelana in Eibar, near Bilbao, where they performed to a capacity crowd of around 1000 people. The audience didn't disappoint, raising the roof of the Fronton Hall from the minute they walked on stage and sustaining the incredible atmosphere right to the end. 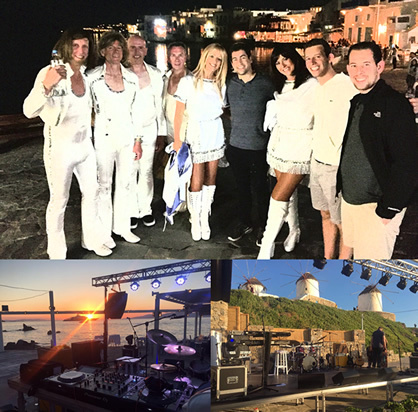 PLATINUM had five summer festival appearances in Italy: Naples, Venice, Florence, Rome and Milan. What a super time has been had by all at these great summer festivals. The Italian crowds were wonderful, including an emotion-stirring standing ovation from those still in their seats at the last one. PLATINUM look forward to going back to Italy soon. What a fantastic trip to Israel! 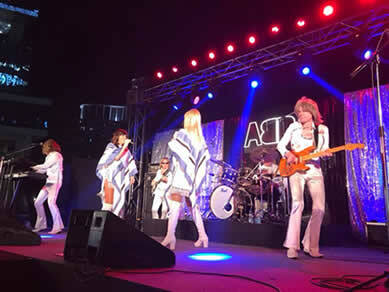 PLATINUM travelled through the desert to Eilat, where they had two shows. 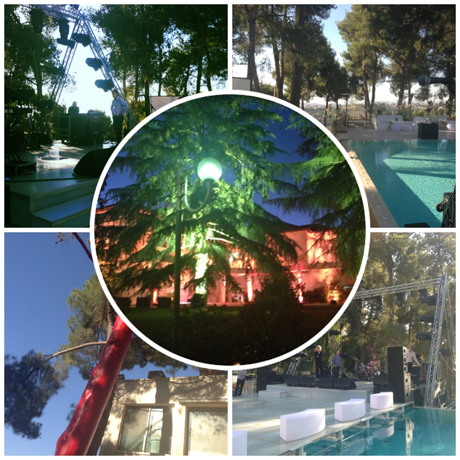 The first was an outdoor event with the stage being carved from the rock face - a wonderful experience. This was followed by a show for the Masada Israeli Dance Festival - a great, fun audience. Their last show was a private party in Tel Aviv for 1000 people. PLATINUM can't wait to be back in Israel again soon. For all our Israeli fans, thanks for your support and any new events planned in your wonderful country will be posted here. After performing to a sell-out crowd at Nonsuch Park, PLATINUM immediately flew out the next day for a VERY royal appointment! 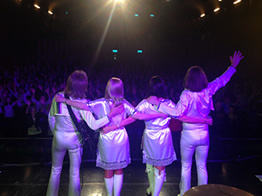 Having performed their live tribute to ABBA to audiences around the world for many years, PLATINUM have enjoyed many highpoints in their career. But they have just returned from one that may take some beating! They were extremely honoured to be asked to perform at Her Royal Highness Princess Ghida Talal’s 50th birthday party in Amman, Jordan. Set in a spectacular outdoor setting adjacent to the royal palace, the distinguished audience comprised of King Abdullah II and Queen Rania of Jordan, along with 15 princes and princesses and the cream of Jordanian society. PLATINUM are proud to report that the dance floor remained packed throughout the evening! The band would like to extend a heartfelt “thank you” for the exceptional hospitality they were shown and the huge honour they felt when the date of the party was moved to accommodate their busy schedule and enable them to perform. PLATINUM would like to thank all the staff at The Renaissance Moscow Monarch Centre Hotel in Russia for making their stay in February such a pleasant one! The band were performing for the hotel's owners as part of a sales event and are delighted to have been asked to return and perform for them again. THANK YOU FOR THE UNEXPECTED REQUEST! During a short theatre tour to the Southern Caucasus in Russia in December, PLATINUM were interviewed by the second biggest TV station in Russia. The tribute scene is a new phenomenon in that country, but PLATINUM are ensuring it's being seen in the best possible light! Having answered the customary questions, the interviewer suddenly sprang a surprise request for the band to perform LIVE around a grand piano that was close by! Given this is not a problem - as PLATINUM famously don't have to augment their performances with artifial aids - a note-perfect rendition of THANK YOU FOR THE MUSIC was beamed to countless millions of potential Russian fans!! !